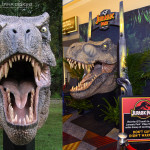 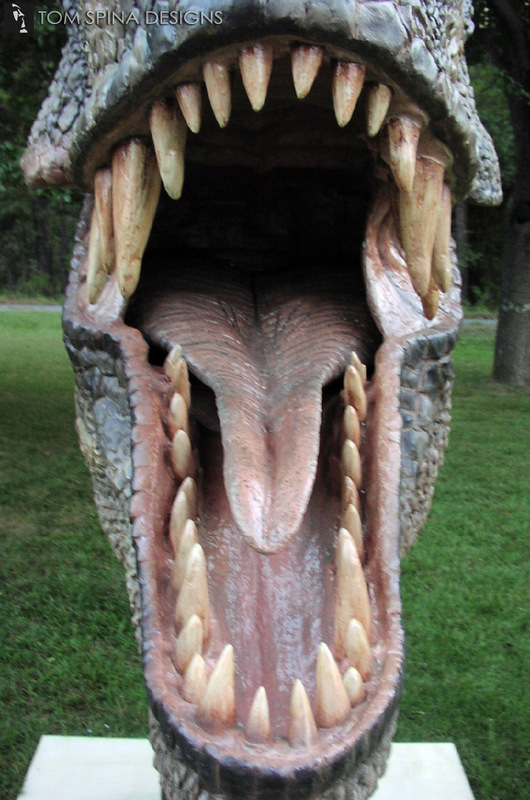 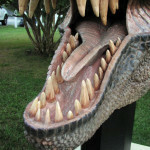 Our Jurassic Park T Rex life sized foam carved bust for IGT’s trade show booth at the international gaming expo! 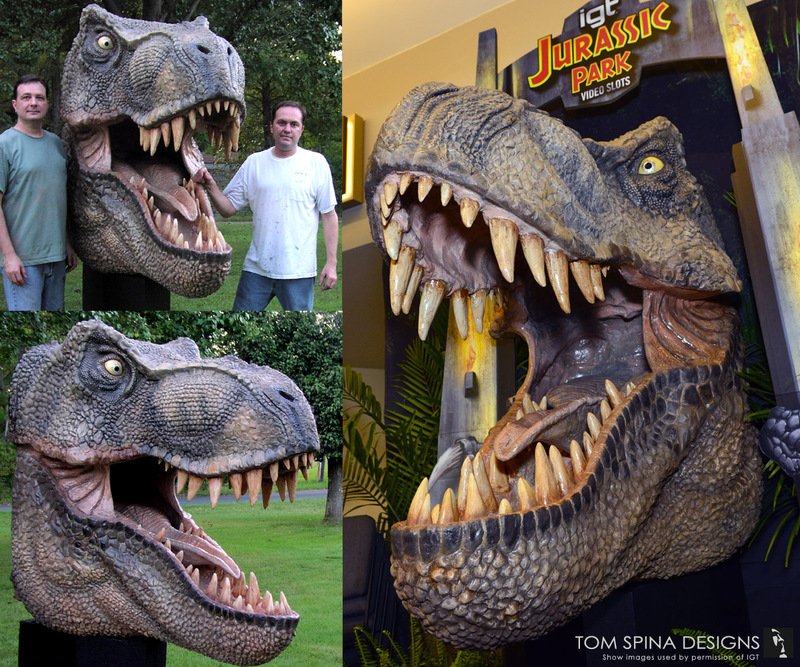 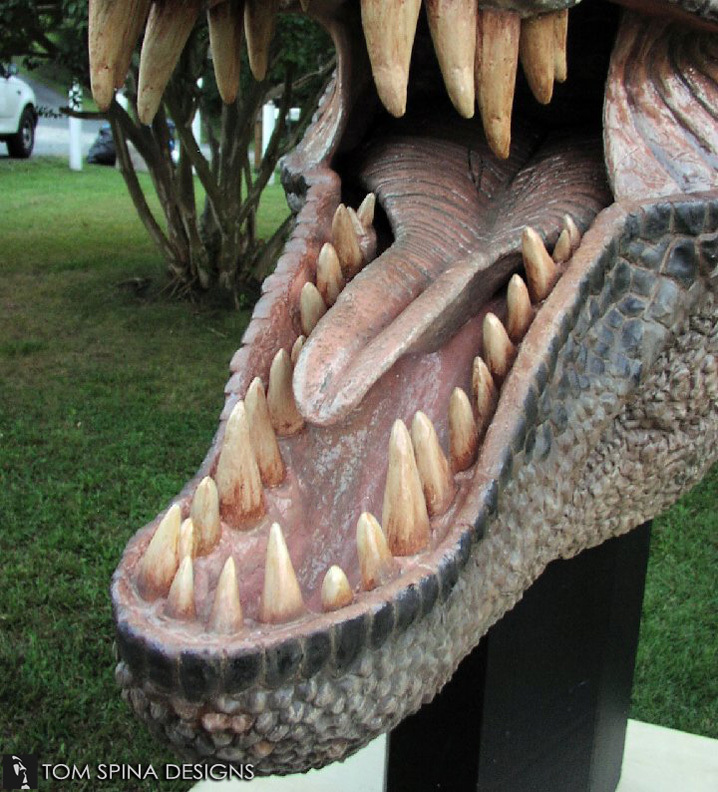 This official Jurassic Park Tyrannosaurus Rex head sculpture was created for the Global Gaming Expo, where our client, IGT, was looking for a truly show jaw dropping trade show prop which would help them stand out. 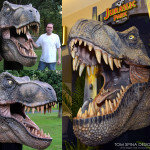 This Jurassic Park T Rex life sized foam carved bust was made into a ferocious photo op for them and it was a smash hit at the show! 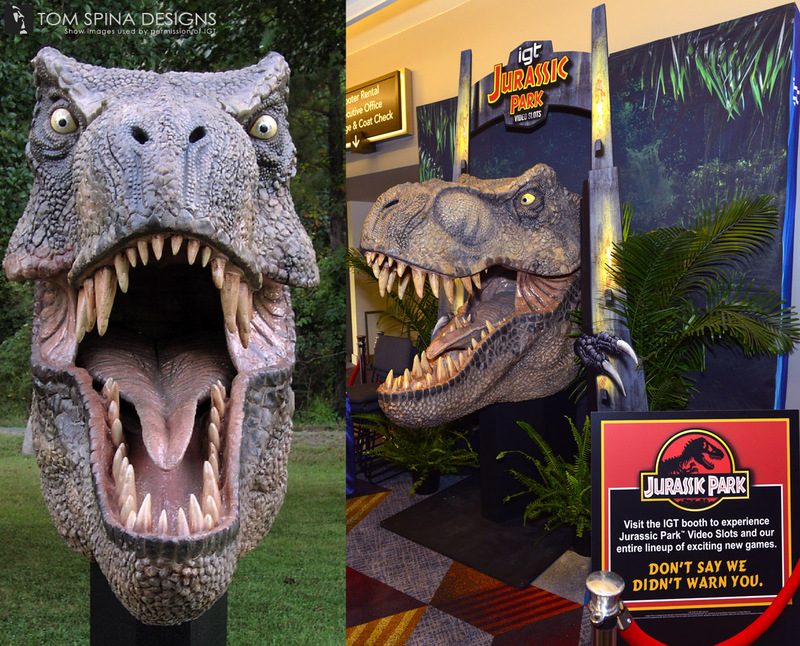 Guests posed with the giant dinosaur and pics were posted all over social media! 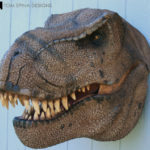 We sculpted a detailed and life sized dinosaur T-Rex head/bust in EPS foam with an epoxy layer for details and scale texture. 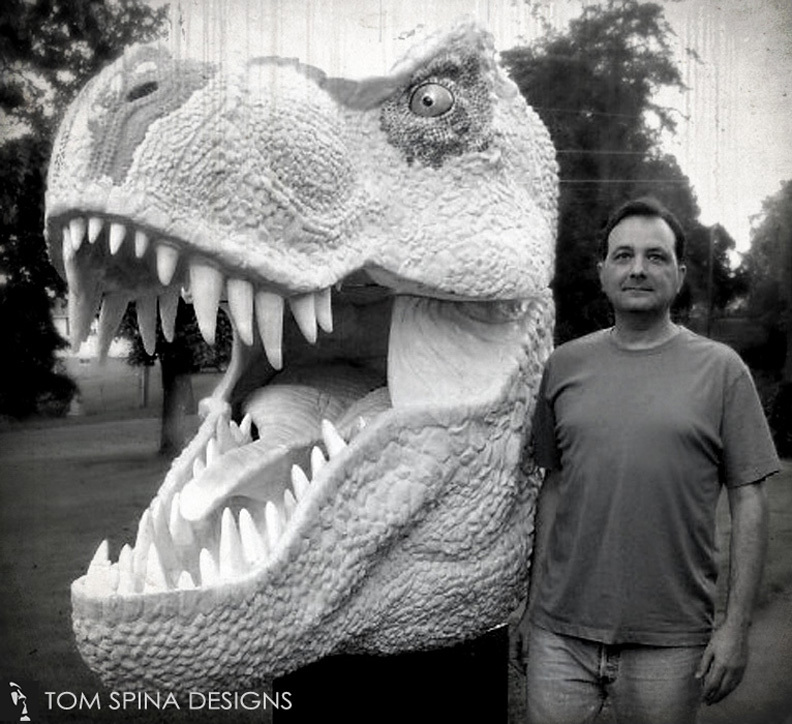 Lead sculptor Rich Riley, with an assist from James Riley, created a truly dynamic and realistic foam dinosaur sculpture with tons of hard resin teeth that convention goers lined up to snap a photo beside! 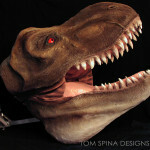 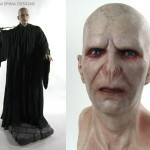 We love creating large creature statues from our favorite movies! 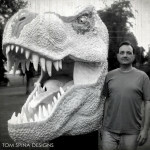 If you’ve got an event, museum or exhibit coming up, we’re the folks you want to call! 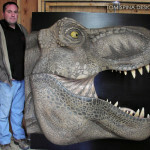 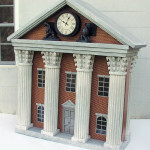 Looking for a show stopping foam prop photo-op for your next trade show? 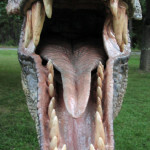 Have you seen the newest Jurassic Park movie?